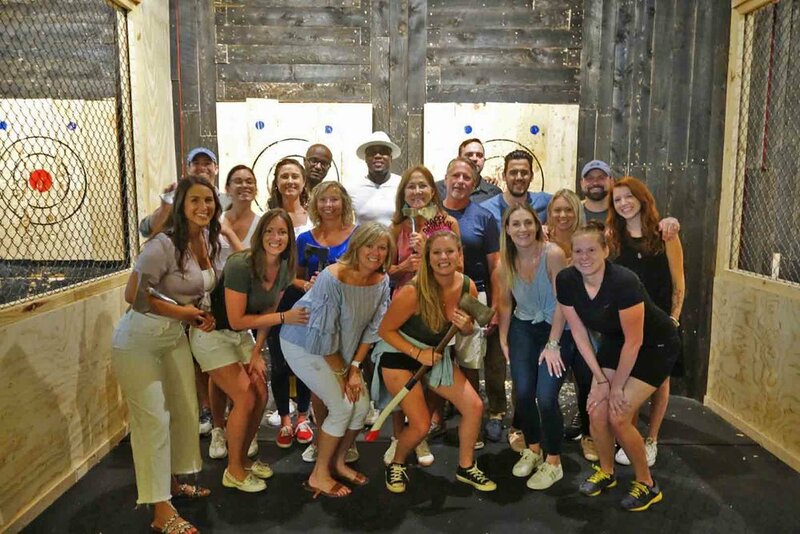 Team building, birthdays, bachelor parties, and more! 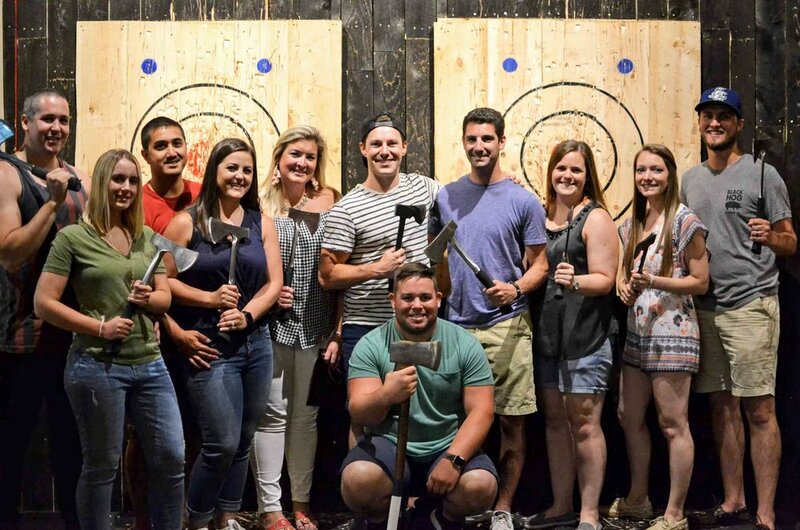 Host your next event at Pine & Iron Axe Throwing. When a standard reservation won’t cut it, or you need some help planning, our team is ready to assist! 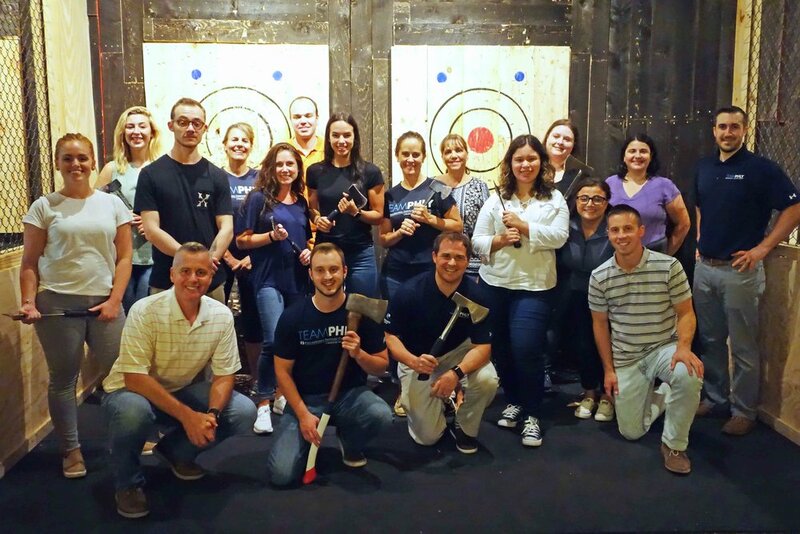 Past team building groups include Aetna, Pratt & Whitney, Stanley Black & Decker, UCONN Health, Philadelphia Insurance and Arthur Murray Dance Studio! Food and drinks are welcome and events can easily be customized to suit your unique needs. For events with fewer than 20 guests held during regular business hours, we recommend booking a two-hour session via our Reserve page. See our FAQ for instructions on how to book longer sessions. Tell us what kind of event you are planning! Describe your event and tell us anything else we should know. Thank you for your inquiry! We will review the details you’ve provided and get back to you within 48 hours. We can’t wait to host your event!